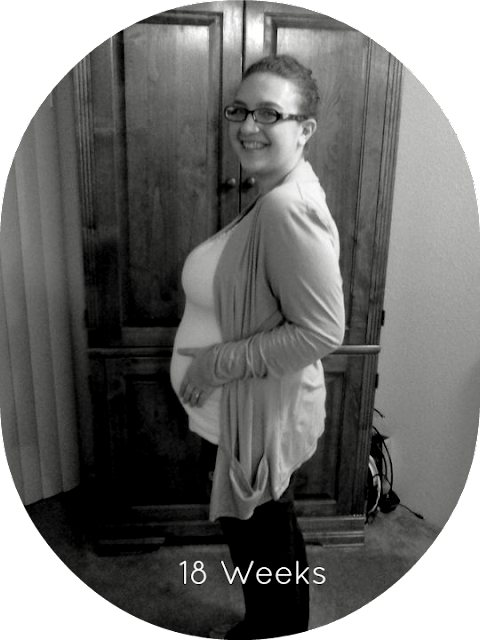 At 18 weeks pregnant my baby now weighs almost 7 ounces, and is about 5 1/2 inches long. I cant believe how much my baby has grown over the months, and how much more he or she will continue to grow in the next 4 months. It's so exciting to me, I love seeing my baby bump grow each week. It's been a slow growth but my belly definitely has gotten bigger and rounder. On January 13th my husband and I go in for our first ultrasound, I cant even express how excited I am to be able to see my baby for the first time! It is officially 2011 now, so much has happened in 2010, good, bad, sometimes uneventful, lot's of changing and growing and maturing. God has really helped me to grow so much this past year. I have learned how to trust him more, to know that he is always there for me, always will provide for me exactly what I need, and to pray about everything whether it be big or small, because nothing is to big for God to handle nor to small for God to care about. I can say now that I am a lot more proud of the woman I am becoming. I really believe that 2011 will be filled with even more blessing and surprises. On February 27th my husband and I will be celebrating our 1 year wedding anniversary. It has been an amazing first year of marriage, we have shared so many special moments together, and have gone through some really difficult times together. I feel like we have really grown as a couple this past year, and look forward to growing even more in love in 2011. In June our baby will be born and we will be able to hold him or her in our arms for the first time and look into his or her eyes and think WOW we created this little precious baby. I know our lives will never be the same after that. Yep, 2011 is going to be an exciting year!